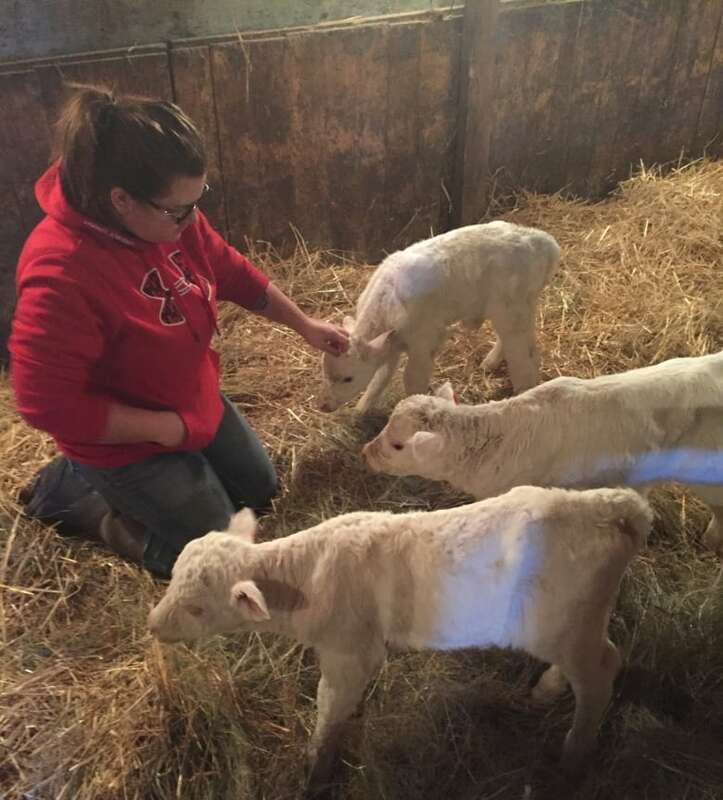 A family farm in southern Saskatchewan was surprised when their cow gave birth to four calves. 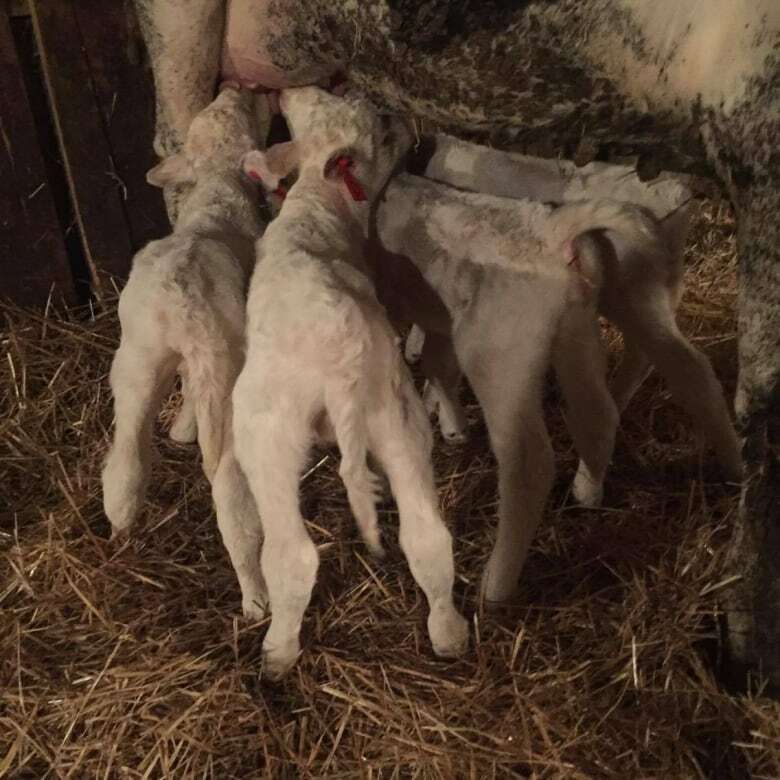 A farming family in southern Saskatchewan were shocked earlier this week when one of their cows gave birth to four calves. The Lamports, whose farm is in the Alida area, were originally expecting the cow to deliver twins, before they discovered there were triplets and then quadruplets. It's now a part of Lamport family lore. "We had to help her have the first three," said Kayla Lamport. 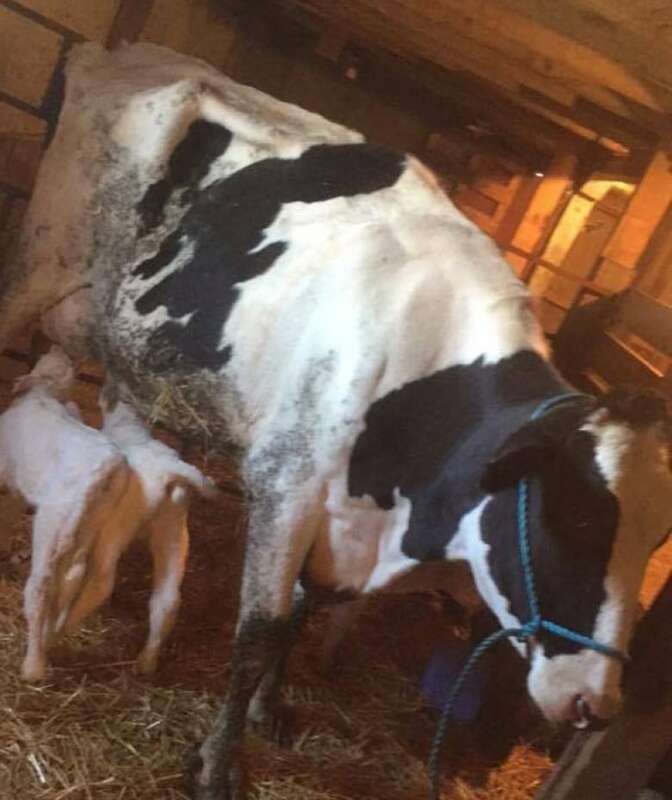 "We pulled the first calf and my dad realized there was still two more in there ... we were completely shocked that there was three." About 30 minutes after the third calf was born, the family was stunned to realize a fourth calf was on the way. Lamport said that the odds of all four calves surviving are a one in 11 million chance. 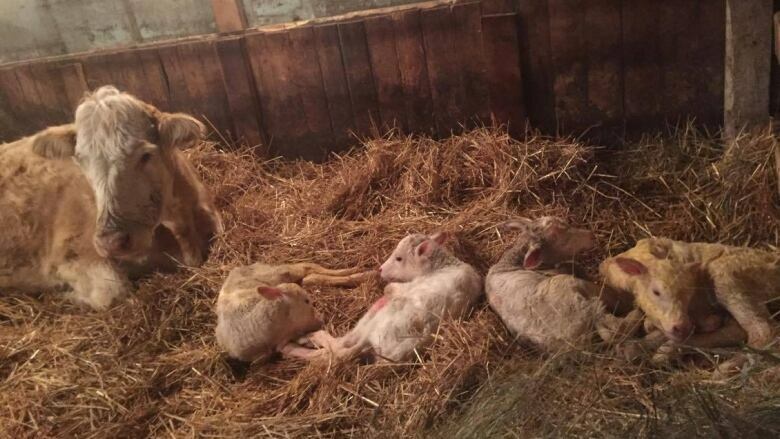 "All the calves are alive. They are doing really well. They are sucking on their own," said Lamport. "They are with their original mother, and we purchased a nurse cow to help the other mother raise them, so the two cows will raise the four calves together."